Society that runs the New Denver Nursery School, located in Lucerne School. 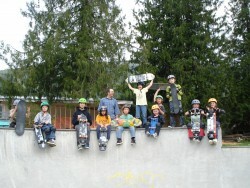 Recreational programs for families and people of all ages. Magazine is published by the West Kootenay Success By 6 Initiative and delivered for free to over 22,000 households in the West Kootenay. School based pre-school parent and tot program.